For me, Cap de Creus has always been a special place. It was one of the first parts of DO Empordà that I started exploring in 2007 and the cellars there were the first of what became many throughout Catalonia that I got to know. As time has gone on, I’ve had the chance to poke around in Roussillon across the French border as well and see something of a sibling region. It’s been a thoroughly enjoyable quest which culminated in a wine book, tours, and now this article that I hope portrays what a lovely region it is to visit. The most eastern point on the Iberian Peninsula, Cap de Creus is typically associated with rugged beauty, a natural park, and/or the ever-present mention of Dalí’s summer home in Port Lligat. This is the Cap de Creus of modern times and none of this is incorrect. Any journey by car from Figueres along the winding roads that dare to cling to the steep slopes will find you trying to avoid the ever-present cyclists while staring agape at a landscape roughly hewn by the wind and ages. What many might not know is that phylloxera had a great deal to do with the state of barren, natural beauty that we see as well. If one has the time, a hop across the French border to what was once Catalunya Nord will show how Cap de Creus once was. 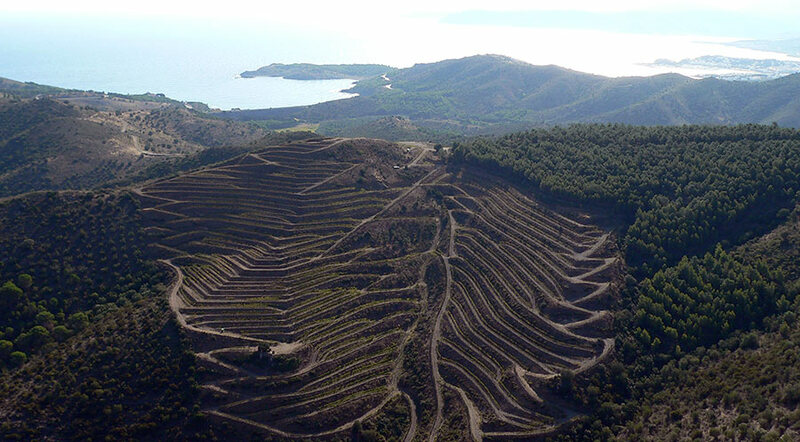 There, the hills and slopes are banked by well-maintained terraces that produce wines in the highly-regarded AOC’s of Banyuls and Collioure. On the Spanish side, the region falls under the auspices of DO Empordà with crumbling terraces that one can only barely make out these days as they slowly disintegrate. What may have been partially replanted 100 years ago after the plague was then abandoned in favor of more lucrative tourism ventures in the second half of the 20th century. But, little by little these vineyards that had been decimated in the late 19th century by the phylloxera scourge are being replanted with new vines and a new trajectory on quality wines from the region.